For materials used in ceilings, shelves, mantels, rafters, banisters, and more, come shop our selection of aged wood. Enjoy a warm and rustic feel that can't be mimicked with new wood. Reusing the older and beautiful wood we offer makes excellent material for siding and flooring in your home. 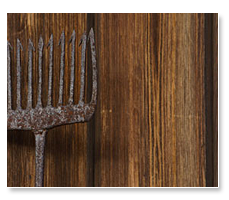 Appreciate the beauty that comes with century old wood with our selection of products. Nothing offers such a unique style and beautiful look to your home as our reclaimed lumber and wood. 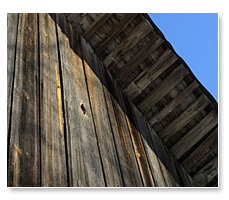 We receive our products from torn down barns, buildings, and other similar locations. Don't force yourself through the difficult process of finding antique wood when you could have an easier and more fun approach with us. We supply you for all the projects you want done in your home. 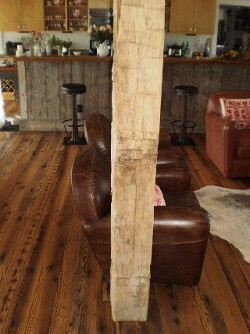 Make your next commercial or home project unique with our reclaimed barn wood & old growth lumber. We carry the best grades and species of wood, including cherry, black walnut, oak, fir, and longleaf pine. If we don't have the type of solid wood beams you are looking for in our inventory, we will find it for you. 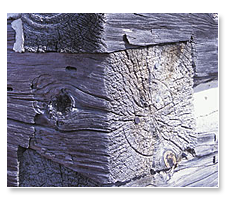 Whether you plan on remodeling or building, our hand-hewn beams will turn heads and leave people talking. Taste in design is always different from person to person, but there lies an undeniable enchantment that comes with the cozy feeling of an old wooden structure. These antique designs display a pastoral magnetism that can't be found anywhere else in newer and more modern structures. When you have a project where beautiful wood is necessary, we encourage you to go a more distinctive route and use authentic antique, hand-hewn wood beams for siding and flooring from Wayne's Barn Wood in Houston, Texas. 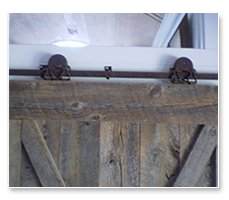 Our selection of reclaimed antique lumber beams is perfect for beautiful accent pieces or the construction of new buildings throughout Texas. Located in Houston and Serving TX and the U.S.